Today the New York Times is reporting that the Google execs have been cleared to land their wide-body 767-200 and two Gulf Stream Vs at Moffet Field in exchange for $1.3 million a year and allowing their planes to be instrumented for scientific research. Moffet Field is run by NASA and is typically closed to private aircraft. 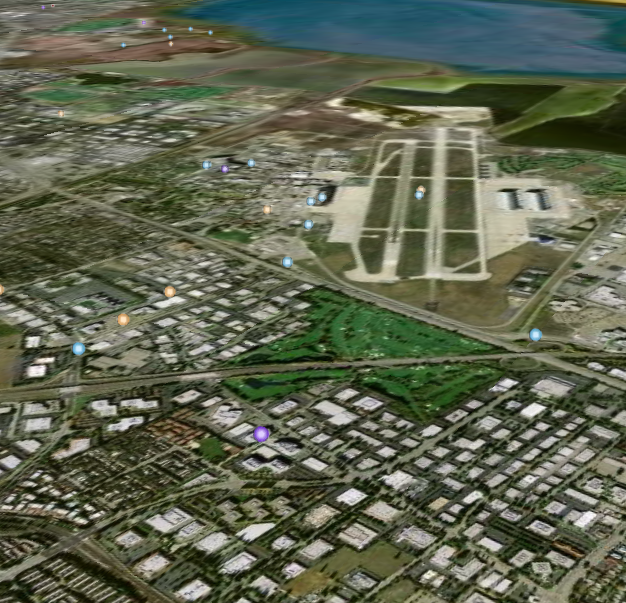 Things can get quite noisy in Mountain View and Sunnyvale during flight activity at Moffet. This seems like a slippery slope in the usage restrictions of Moffet. This entry was posted on September 13, 2007 by Sean Kane. It was filed under Uncategorized .